The best beach bash's are hosted on dusk. It's a great temperature, not too busy, beautiful light and you can have a fire. Find a good spot. Nice secluded beaches work best, set up away from the waters edge and in a flat area. Portable music player and epic playlist, let the good times roll. 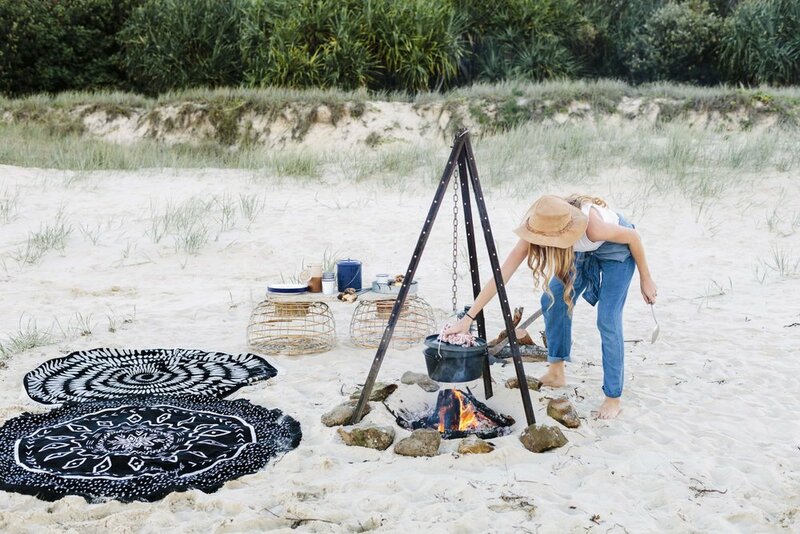 A beach fire is pretty essential. Click here to read our post on how to build one. A beach cart full of ice and drinks. Simple easy food. We wrote a post on recipe ideas for a seaside feast which can be found here.